The South Siders’ (11–6) two games this week can best be described as polar opposites. Poor pitching and little offense characterized Tuesday’s game, a 17–2 loss to Concordia Chicago (15–5). 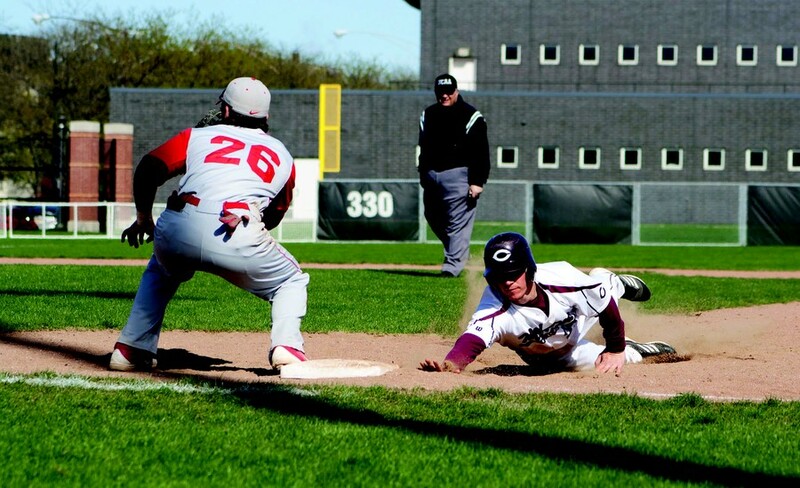 A day later, the Maroons banged out 19 hits en route to a 15–5 win over Benedictine (8–10). Though these two games brought out very different strengths and weaknesses in the Maroons, the discrepancy can be explained relatively easily. In Concordia, the Maroons were facing perhaps one of their toughest opponents yet this season. On the flip side, Benedictine was the first squad that had a losing record heading into the game that the Maroons have faced since returning from Florida. One bright spot in the Concordia game was third-year outfielder and pitcher Jack Cinoman, who continues to hit at a torrid pace. He is in the midst of a seven-game hitting streak. Another encouraging element that emerged from the week’s contests was Chicago’s resilience. Instead of dwelling on their tough loss, they came out swinging against Benedictine, scoring two runs in the bottom of the first inning and never looking back. Fourth-year Alex Garcia (2–1) pitched eight solid innings to hold Benedictine in check. With their rollercoaster ride of a week now over, the Maroons have two games to look ahead to, against Aurora and Hope. “[Garcia’s] quality pitching performance combined with a much-needed offensive outburst has put us in a good position going forward into the game against Aurora,” fourth-year catcher Stephen Williams said. Aurora enters today’s game with a 13–4 record and only one road loss. “In the past few years, the games against Aurora have been good games, so we’re ready to take on this next challenge,” Engel said. Last year, Chicago beat Aurora 5–4. Hope is currently sitting at 7–10 on the season, but that does not mean that the South Siders should look past Monday’s game. The two teams faced off last year in Florida, with Hope winning 11–6. First pitch in Aurora, Illinois this afternoon is scheduled for 3 p.m. The Maroons will return home on Monday to face Hope at 4 p.m. on J. Kyle Anderson Field.